Discussion in 'Classic Manual Cameras' started by Lou_Meluso, Oct 19, 2018. It has been a while since I posted here, I hope everyone is well. There have been many exciting changes in my life of late including a new career in a new state. Exciting times indeed. Time has suddenly become ultra precious so my digital cameras see most of my picture making these days but I have always enjoyed collecting and shooting with the classics and hung out in this forum for many years. Good to see some of the long-time regulars still here. The reason for today's post is related to a photography exhibition coming to our museum, The Fort Smith Regional Art Museum (AR), next year: John Wayne and The Big Trail. See it at the Gilcrease Museum HERE It shows stereo pics from behind-the-scenes of this 1930's classic with John Wayne in his first starring role. In our exhibition, I would like to enlarge the stereo photography aspect more. 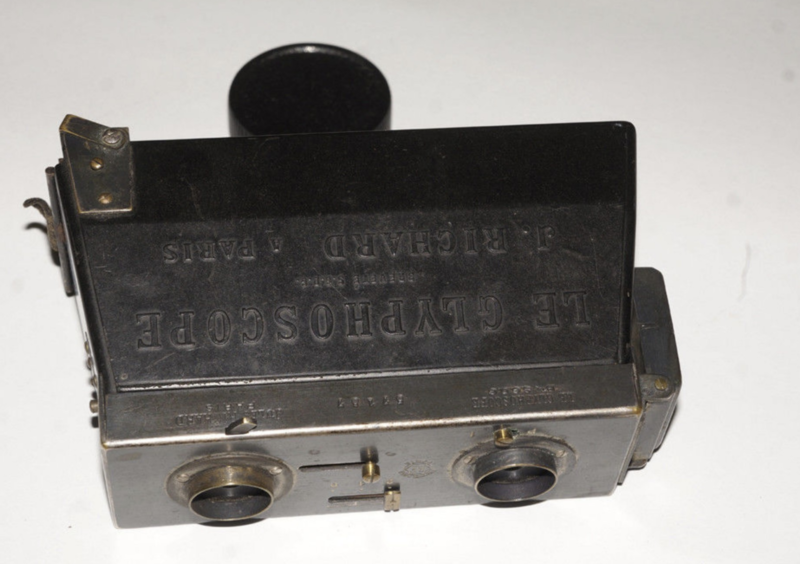 I'm seeking anyone that may have a 1930's vintage stereo camera to loan us for the show. Non-working is fine as it will be in a display case. There may be other places to get this loan but I thought I would ask here first. Your name would figure large on the gallery label! If yes, shoot me an email and I'll share the particulars. Thanks, everyone! Hi Lou..nice to see you back posting here... some of us here have no life..Haahaaa I'm sorry to report I don'T have such a stereo camera. I do recall there was a fellow back in the day who had a penchant for both stereo cameras, but more specifically a swing shutter ie Horizon that did 180 degree or otherwise panorama. He was an avid cyclist and made road trips with his son wherein he shared his posts. Maybe Doug.. was his name I will look him up. Ok Lou.. should'Ve looked up before replying the first time ..Duhhh Anyway The fellow I'm referring to posted last 18th of September: his name is Doug Grosjean. IIRC he had quite a few different panorama cameras and may have a stereo camera. Since we are talking here 1930s this is/was likely a modern Stereo camera? The Golden age of stereos was at the turn of the century.. do you know what model was used for John Wayne.. the ones I imagine maybe period right for "cowboy" era but a bit dated for the 1930s. Just curious if you have a particular model in mind. Hi Chuck, nice to hear from you! No, I don't have a particular model in mind. Any example from that around that period would do. Thanks for the lead. I'll follow up!. As said, nice to hear from you again. One thing that will likely fit in is the ViewMaster stereo reels. There may have even been a John Wayne ad for the Stereo Realist, but I don't have that one. Of course stereo goes back to the 19th century. Thank, JDM, good to hear from you. Thanks for the tip on the Viewmaster! Here is the ad you referenced. I am new to this site and I just picked up a stereo realist a month ago. I would be willing to loan it to the museum for the show. The case is rough, but the camera is in working condition. Julio Fernandez and Sandy Vongries like this. Hi Jim: Thank you so much for your kind offer. The Stereo Realist was introduced in 1947. That puts it a bit later in the timeline of a film made in 1930. However, it is definitely an interesting camera and cool collectible. I appreciate your generosity. I found this one, a vintage Jules Richard Le Glyphoscope Stereo Camera, on eBay for a very reasonable amount. It was made in the mid-1920's, portable and has the same format and size of the images in the exhibit. By way of an example, it may serve. A bonus is it is fully working.